Give notice to your tenants that the property they are renting has been sold with this Notice to Tenant of Sale of Rental Premises for Northern Territory. 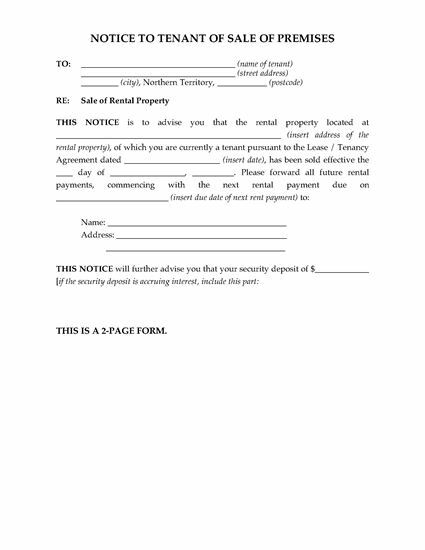 You can use this form to give formal written notice of the sale to all of your tenants as required by landlord-tenant laws. The tenant is instructed to pay rent to the new owner as of the effective date. The Notice also includes a Record of Service so you can record how it was served. Don't take the chance that you have not complied with your legal obligations to your tenant. 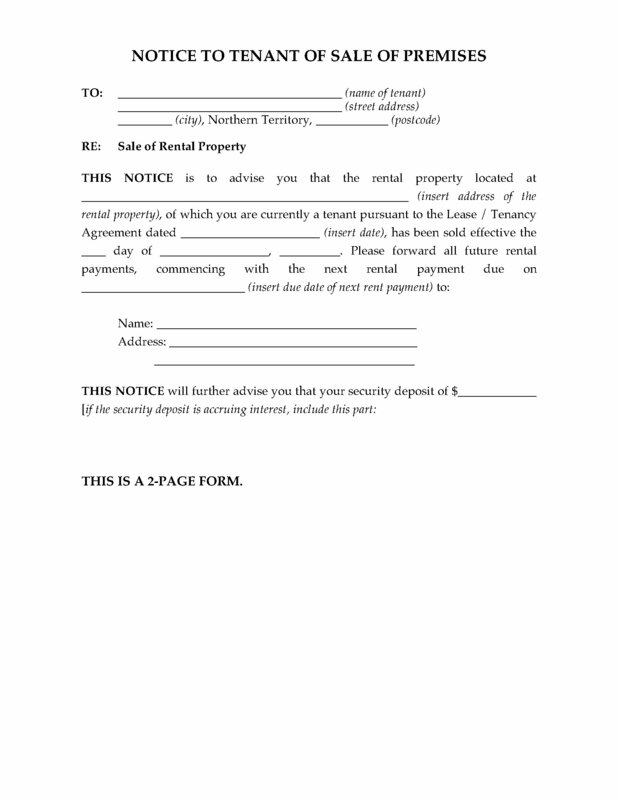 Get your copy of the Northern Territory Notice to Tenant of Sale of Rental Premises.